Several female MPs have written to beg someone to do the difficult task of framing laws, and attending debates on transport and crime prevention since they are disinterested in the role if they can't have a second home to fill with cushions for doing it. The MPs are complaining that unlike other women working and travelling late in London they are especially susceptible and that other forms of transport are unavailable to them. 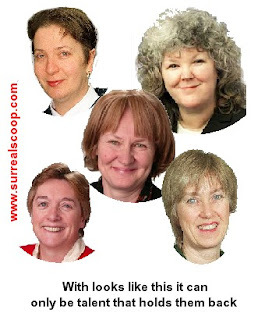 Behind closed doors the group of half a dozen female MPs has complained for some time that the late night sittings of parliament are not conducive to encouraging women to enter politics and that the removal of second homes for those living near London is the final straw. The female MPs said that they were forced to write complaining about the problems of women using public transport, and that their hair goes frizzy in the rain, since previous attempts at compromise had been ignored. However the complaints of the MPs, that they are especially at risk of sexual assault travelling at night to unstaffed rail stations, was dismissed by a male member of parliament.